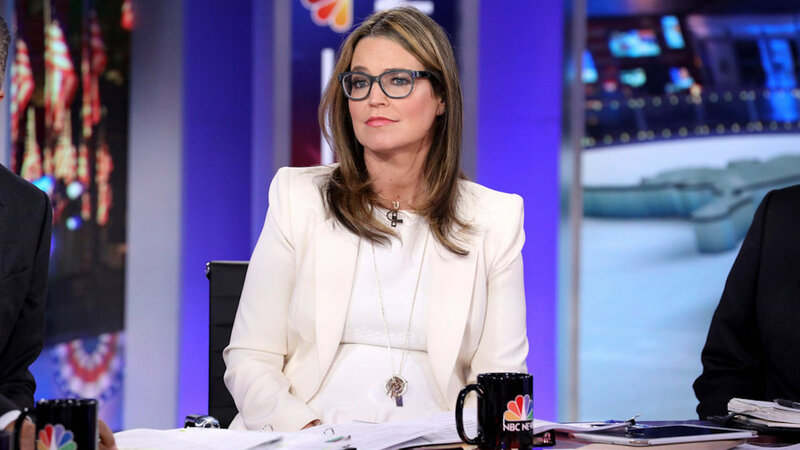 Savannah Guthrie doesn’t lose her cool often. In fact, her even keel makes her the successful, relatable Today coanchor she is. But Guthrie’s riled up right now, and we don’t blame her — people apparently keep asking if she is pregnant, prompting her to issue a pointed response via Twitter. Y’all… no. Just don’t do this. It is never cool to ask someone if they’re pregnant, for a multitude of reasons. Aside from the fact that it’s just rude, making such an assumption doesn’t account for any extenuating circumstances or the person’s health history. Imagine if the person is not, in fact, pregnant but has been struggling for years to conceive. What if they can’t have children at all due to some unforeseen medical condition? What if they’ve suffered multiple miscarriages or recently experienced a late-term pregnancy loss? Or what if — like many people — the person simply put on a little weight or has lingering weight from, you know, incubating a tiny human? While both are normal and all body shapes are beautiful, it’s possible the person is insecure about their weight or body shape. Regardless, there’s no call to have either one publicly scrutinized and ridiculed. Guthrie drove home this point on Instagram, sharing a graphic showing a woman in all stages of pregnancy along with the question, “When is it okay to ask a woman if she is pregnant?” Underneath each stage, the word “no” reads loud and clear. The caption Guthrie added to the Instagram graphic hints at how such unfounded assertions can affect a person’s self-image. “Excuse me while I spend the rest of the day on the elliptical,” she wrote. While Guthrie received support in the comments to her post, it would certainly have been nice if there had been no need for commenters to leap to Guthrie’s defense. This question shouldn’t have been asked in the first place.